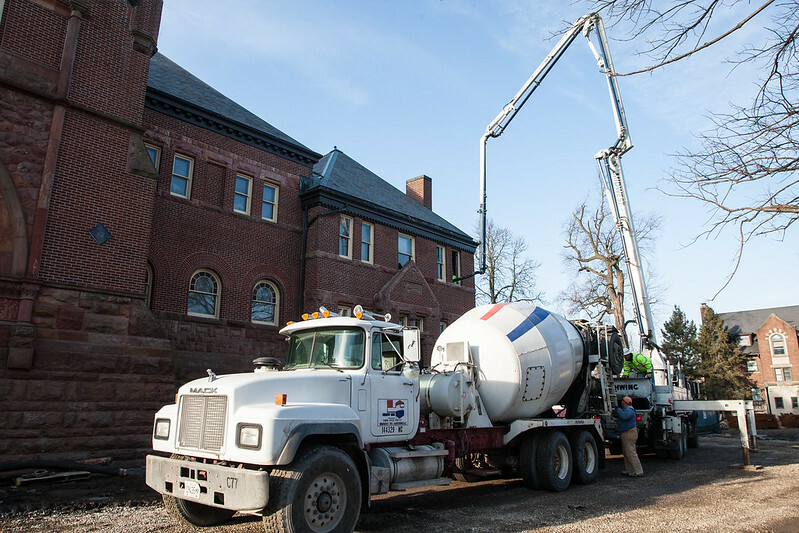 Delivery of concrete for interior floors: from the delivery truck, into a separate pump trailer, through hoses and into the building. 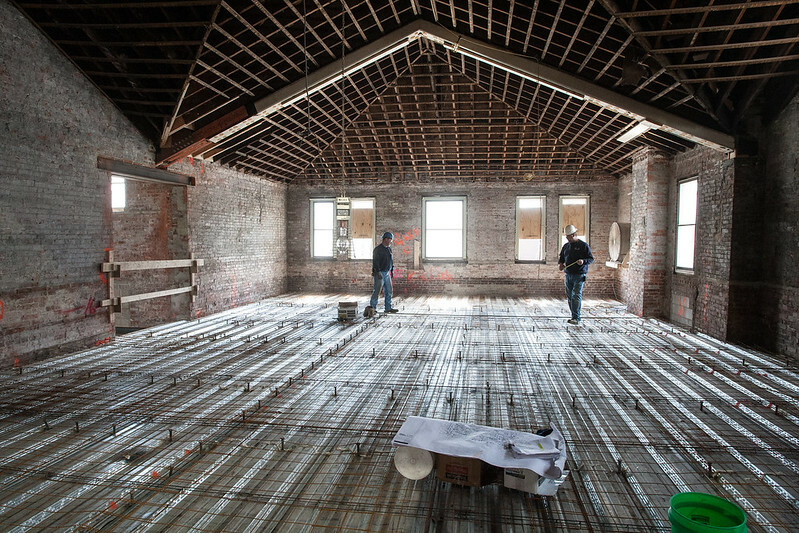 Workers make final check of reinforcing steel mesh, installed over steel panels, preparing to pour concrete floors in one of the wings. 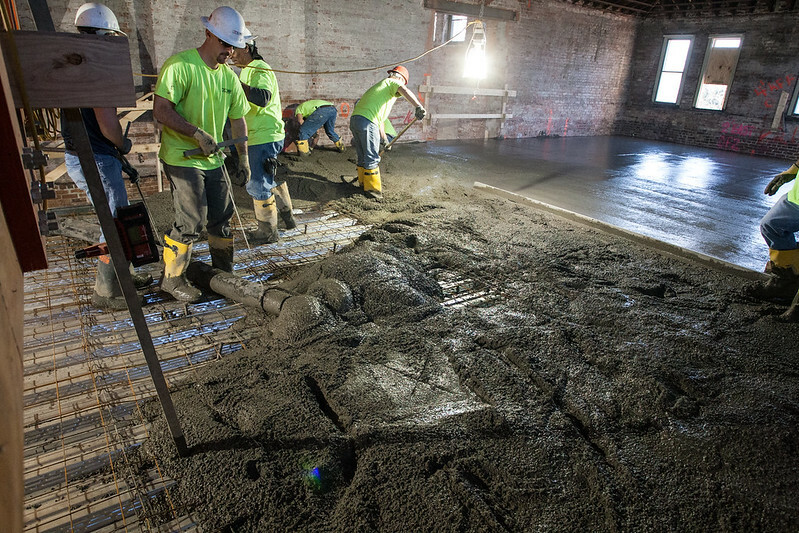 Concrete for the floor is piped through an open window into the third floor of the west wing of Alumni Hall. 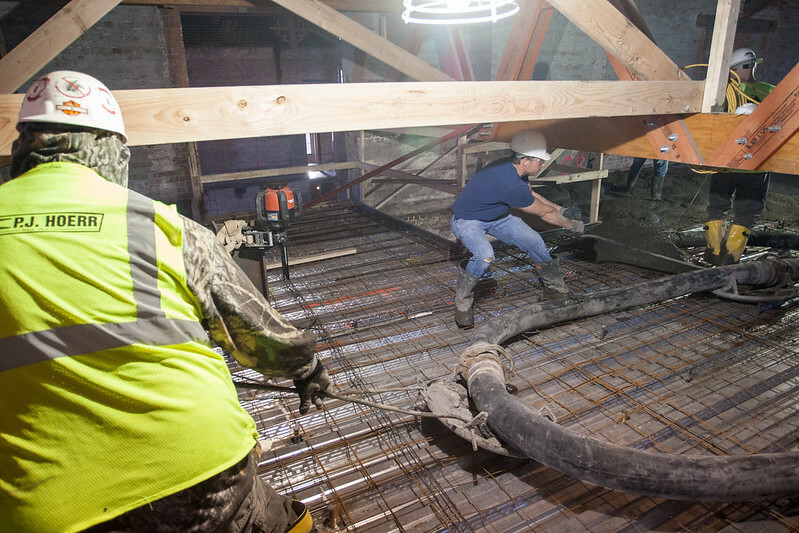 As concrete is pumped onto the third floor of Alumni Hall, workers move the delivery hose over the steel mesh, while other workers smooth the floor. 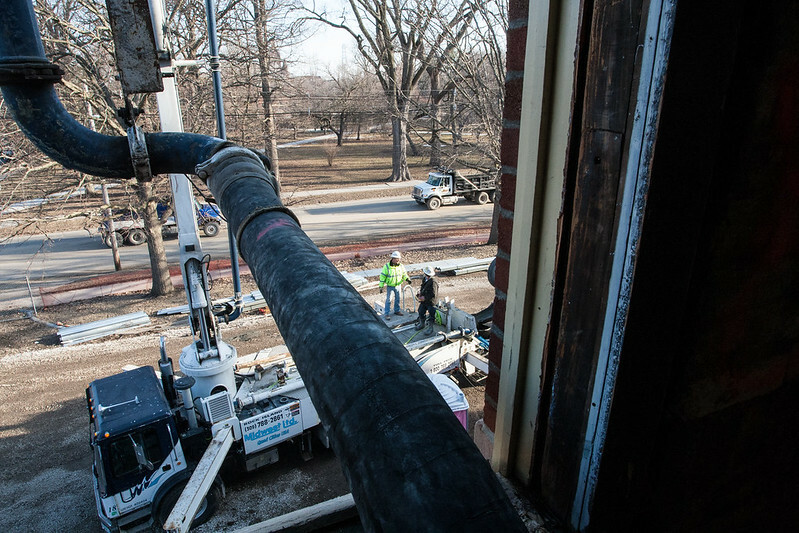 Not quite Leighton’s “Athlete Wrestling With a Python,” but it’s close: Workers use steel hooks and skid plates to maneuver the concrete delivery hose while spreading the floor in the west wing of Alumni Hall. 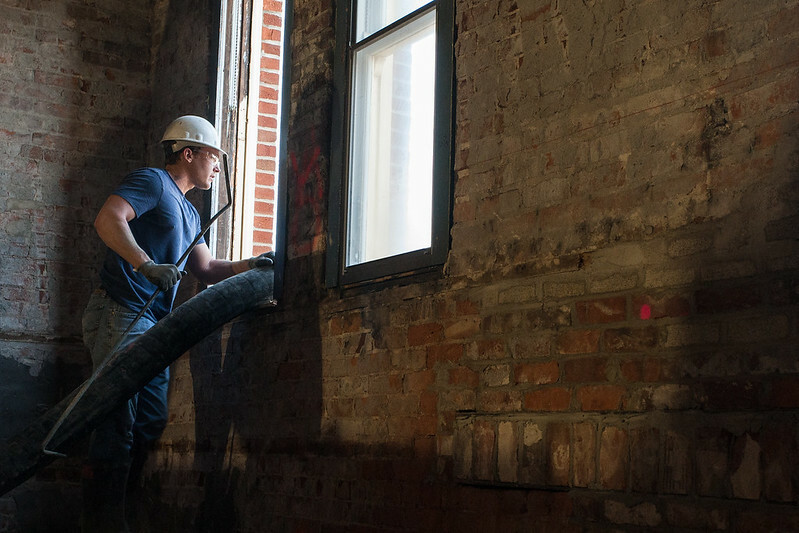 A worker signals the delivery crew outside whenever the flow needs to stop or resume through the hoses used to pump concrete up to the third floor of Alumni Hall.